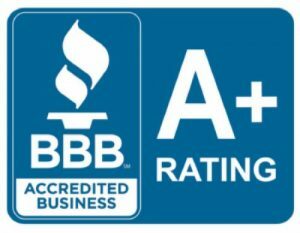 Our BBB-accredited company has been serving the roofing needs of home and business owners in Elk Grove Village Illinois since 1973. We can add years to your home or building, with the great look you deserve. Here are a few of the brands offered by Sunshine Siding & Window. We’re licensed, bonded, insured, and have served the Greater Chicago area for more than 40 years. 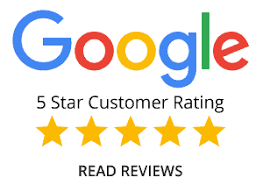 Our BBB-accredited business can offer you a variety of roofing services including complete roof replacement, tear off, and repair, as well as other home improvement work. GET A FREE ROOFING INSTALLATION QUOTE – FINANCING AVAILABLE! 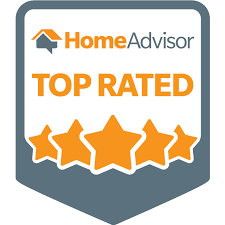 The following are common questions homeowners in Elk Grove Village Illinois ask us. If you have any additional questions not addressed below please feel free to reach out to us anytime! Q: Does Sunshine Siding & Window Company remove my old roof? A: Yes, in most cases – however, after careful inspection, your roof may not require it. Some roofers will claim to save time and money by inspecting, with their eyes, the old roof, and then, if all looks well, shingling over it. However, unless the old shingles are pulled up you will never know if you have soft spots or rotten wood beneath the current shingles. If bad spots remain behind, you will have larger, costlier problems in the future. Q: Does Sunshine Siding & Window Company install drip edge or edge metal when installing the new roof? A: Yes. Sunshine Siding & Window Company always recommends installing drip edge. Drip edge or edge metal is a small piece of aluminum placed under the shingle where it comes off of the roof. This piece of metal extends past the roof and allows runoff to flow into, rather than behind, the gutters, protecting the fascia and wood on your roof. If a drip edge or edge metal is not installed, you will incur problems associated with water damage. Q: Will Sunshine Siding & Window Company use ladder stabilizers or standoffs to protect my gutters when installing my roof? A: Yes. You may not think about it, but the method the company uses to get onto the roof is almost as important as the type of roof you choose. Ladder stabilizers and/or standoffs should be used in every roofing job. Stabilizers are like big arms that rest on the roof or on the side of the roof. This keeps the weight of the extension ladder, which can weigh a few hundred pounds, off of your gutters. Without some type of standoff or stabilizer, you might end up with a great roof but a torn up, broken apart guttering system around your house at the end of the job. If the company you’re considering for the roofing job answers no to this question, you need to ask what they will do to ensure your gutter system will remain intact and unharmed during the project; if they can’t answer this question, don’t trust them to complete your roof. Q: Does Sunshine Siding & Window Company clean up the site and remove all the old roofing materials and is this included in the cost? A: Yes. You don’t want to be stuck with a pile of debris in your yard and have to pay extra to have it hauled away.